Dactylorhiza majalis subsp. calcifugiens is a slender plant with a height of 10 to 35 cm. The 3 to 5 leaves are lanceolate, unspotted and spreaded. The inflorescence consists of 7 to 40 flowers, tightly arranged in an inflorescence. The long bracts are green. The relatively slim spur is almost as long as the ovary and bented downwards. Petals and the middle sepals form a small hood. The lateral sepals are spreaded sidewards. 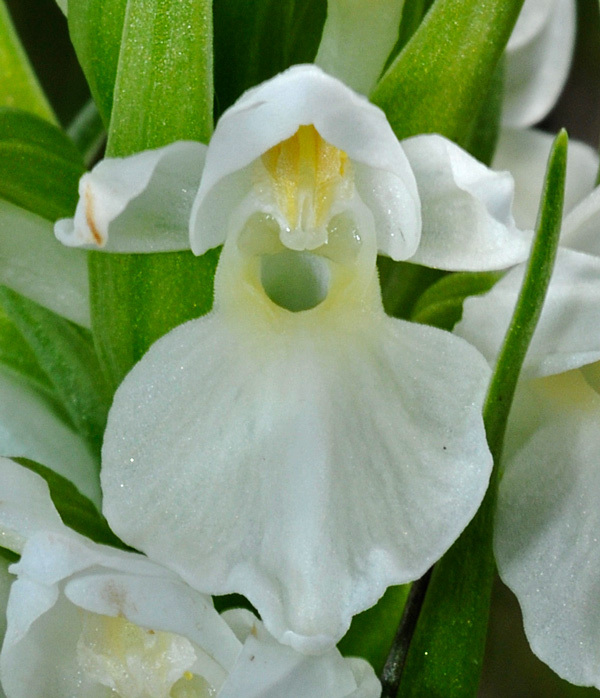 The labellum is indistinctly three-lobed. 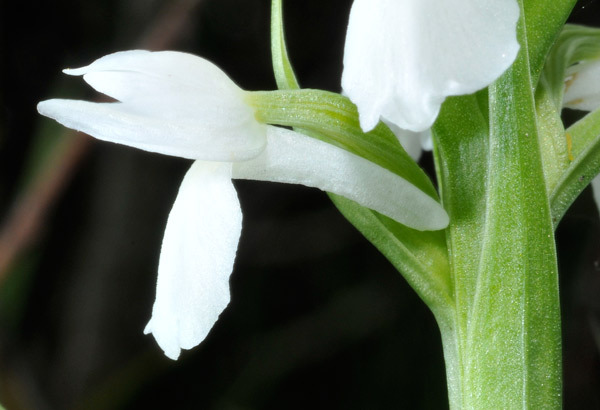 This rare plant was described by Henrik Ærenlund Pedersen in 2004 (Journal of Nordic Botany). Sebastian Sczepanski and Karel Kreutz regard it as Dactylorhiza sphagnicola subsp. calcifugiens (Berichte der Arbeitskreise Heimische Orchideen, 2007). 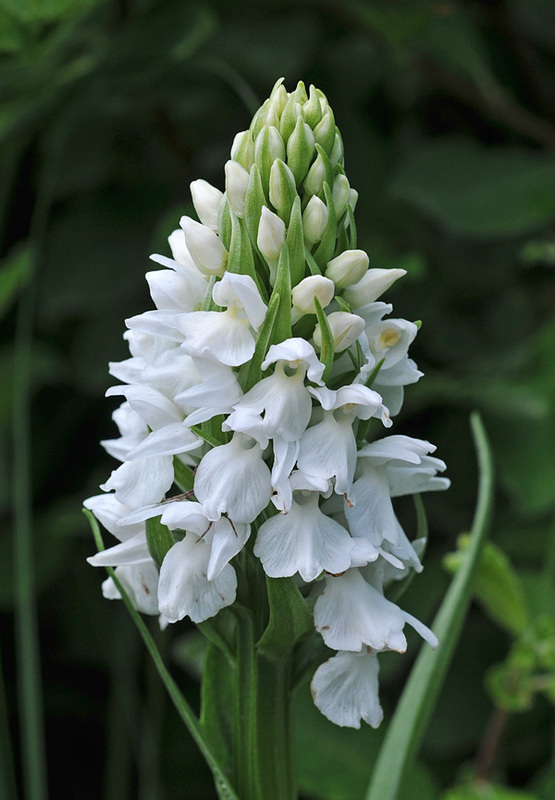 The flowers of Dactylorhiza majalis subsp. calcifugiens are white, sometimes with a yellowish hue in the very center. According to Pedersen, there are very rarely purple-flowered plants. 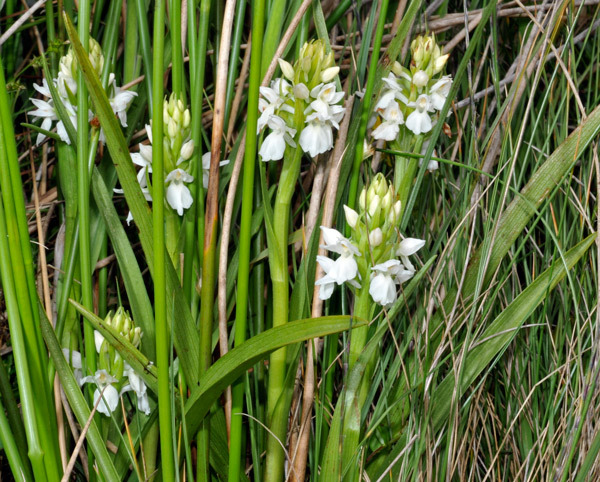 The endemic Dactylorhiza majalis subsp. 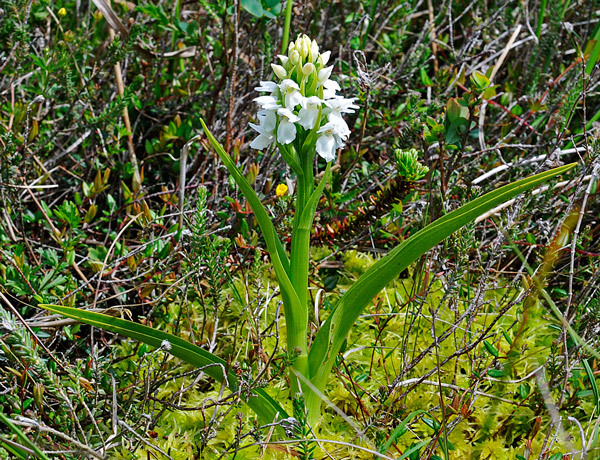 calcifugiens is growing in marshes and bogs of the region Thy in Northern Jutland, Danmark. Bloom is from June to July.